Best of the Poconos - The Official Best of the Poconos Guide. 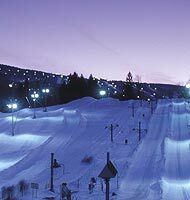 Camelback Mountain Resort - Ski Area Tannersville 570-629-1661. The best of skiing, snowboarding and tubing in the Poconos Mountains. Camelback Mountain Resort is more than a ski area; it has a snowboarding park, homes and townhomes in the little village called Northridge, restaurants onsite, a summer waterpark resort with an adventure park atmosphere. Camelback has more ski and snowboarding slopes than any other Poconos winter resort. With its professional management, attention to cleanliness, great food, lounge with live entertainment, and friendly staff it is the ultimate Poconos resort. - Camelbeach Water Park, Tannersville. Located at Camelback Resort, 570-629-1661. This 4 million dollar remake of the Ski resort is the summer's highlight. A family water slide "The Titan" was the biggest hit of summer and the Kahuna Lagoon wave pool the highlight of the park. In addition, there are restaurants, activities for toddlers, a huge swimming pool, bumper boats, more waterslides than you can count and a large attentive friendly staff. 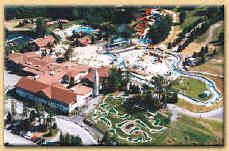 - Skytop Resort and Golf , Rt 390 north or Canadensis. Great design and conditions, a stunning natural setting. Sharpen your skills on a championship course rated 4.5 stars by Golf Digest. You may even see deer grazing on the fairways. Nestled high in the mountains, this course meanders through fragrant gardens, stately trees, and glorious vistas. The landscaping, fairways and greens are flawlessly maintained. This is a mountain-style track that plays over rolling terrain, with wide, tree-lined fairways and small greens that are challenging and above average in speed. Water comes into play on two holes, and there are plenty of strategically placed bunkers to challenge all players. From the back tees the course measures 6,656 yards with a slope rating of 133, and forward tees 5,789, and is sloped at a 122 rating. Challenging enough for the serious golfer, it's still playable enough so it won't overwhelm the more casual player. Best Pocono Snow Tubing Park - Fernwood. A BonFire at night, a cute and available snack bar with green house windows, plenty of tubes an runs. Great Winter Fun. 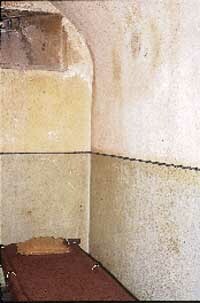 Plus a resort atmosphere with restaurants, horseback riding and rooms if you want to stay over. Snow is made here so... From December until March there's tubing galore. Stay over and have more fun at Fernwood. Glen Brook - Stroudsburg, PA - Glen Brook Golf Club is an exciting 18-hole PGA rated par 72 championship golf course located in the beautiful Pocono Mountains of Northeastern Pennsylvania. Designed in 1924 by the renowned first president of the PGA America, Robert White, the golf course rambles through 6500 yards of foliage, knolls and woodlands. Food services have been upgraded in a beautiful stone clubhouse. Great Tastes of Pennsylvania Wine & Food Festival - A two day outdoor festival will be held in mid June each year 12pm to 6pm on the grounds of Split Rock Resort located in beautiful Lake Harmony. The festival will feature continuous musical entertainment on three separate stages, Pennsylvania's finest wineries and a wide selection of food vendors to tempt your tastebuds. Educational Seminars will be held during the Festival so check them out and learn some new things about wine. Beltzville State Park. The 2,972-acre Beltzville State Park is in the southern foothills of the Poconos. Pohopoco Creek, an excellent trout stream, feeds the 949-acre Beltzville Lake, which is a reststop for migrating waterfowl and is a destination for boaters and anglers. The sand beach and picnic pavilions are very popular. 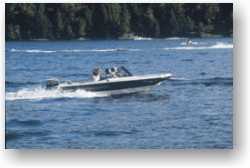 Recreational facilities are a result of a cooperative effort of the U.S. Army Corps of Engineers, the Department of Conservation and Natural Resources-Bureau of State Parks and the Pennsylvania Game Commission. Jim Thorpe, PA � The Switchback Trail (11 - 18 Miles) Beginner; mostly level with optional steep rocky descent (1.5 - 3+ hours). Rent a bike or tent from Blue Mountain Sports 34 Susquehanna Street. They'll also transport you to the trail provide a tent and information on how to have the best ride possible. The Tannersville Inn is the perfect setting for Murder Mystery Weekends. Choose to test your sleuthing abilities at a murder mystery weekend, hike, bike and ski, depending on the season, enjoy the parlour at the inn, or two step the evening away in the bar. Bushkill to Delaware Water Gap . Something for everyone. History, Views, Solitude, Rapids, Fun, Island Hopping, Fishing, Picnic, Consider renting your canoe at Kittatinny Canoes. All kinds of canoes, kayaks, rafts and they provide transportation for you and your family so you can enjoy the day on the river. Longer trips are available and overnight trips from Hancock , Ny to the Delaware Water Gap are a great way to fill a three day weekend. You'll camp along the river and probably see an eagle or two. Skytop Rt 390 North of Canadensis. Big, formal, quiet, lots of things to do (ice skate in winter), and great golf course. A traditional family resort with deep roots in the hospitality business. Every kid should experience this kind of civility and every adult should savor it. Skytop Lodge offers a selection of resort lodging that is as unique as the needs of guests. 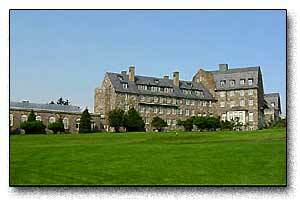 Visitors to the Poconos can choose from the grand historic Skytop Lodge, the serene privacy of deluxe cottages, and for those who love golf, The Inn offers luxury hotel accommodations right on the golf course. Paradise Stream Resort. Recently Renovated and close to the new Casino. Your own personal playground - with a private pool and roaring fireplace. Days full of indoor and outdoor activities, like tennis, archery, fishing, cycling and nature trails. Intimate relaxation awaits at Paradise Stream Resort. The Carnivale Racquet and Swim Club features two free-form whirlpools, a heated indoor pool and a game room stocked with pool tables and arcade games. The Jungle Café overlooks the pool area and is a great place to chat with new friends over snacks and drinks. The Jungle Café also offers free high-speed wireless internet access. In the evening, take advantage of world-class fare with free hors d'oeuvres at a Garden Party and a five-course dinner in the restaurant. After dinner,visit the Lounge and Nightclub for live nightly entertainment. Raymondskill Falls South of Milford - North of Bushkill. Raymondskill Creek tumbles down a small, rocky ravine creating a set of three cataracts varying in drop from three to sixty feet. Raymondskill Falls is probably the best example how each waterfall in the Pocono highlands is as different, as individual as a fingerprint. Abraham Van Campen House (1754-1806) Now something different. On the south east corner of River Road and Worthington Street in Shawnee. We don't know who the ghost is, but she has been proported to have been seen by residents of this home at various time over the years. Hawley, PA. Choose from: The Hawley Antique Exchange, from pottery to fine china to furniture. The shop's 8,000-square-foot gallery is open Thursday through Tuesday.